At the beginning of day three, there were 14 players left all vying for the first place prize and the coveted World Series of Poker gold bracelet. David Bach pulled off an impressive feat by finishing both Day 1 and Day 2 as the chip leader and he almost pulled off an incredible wire-to-wire act, but unfortunately Bryan Campanello went on an amazing run here on Day 3 and was able to put a stop to Bach. Action started today with Tommy Chen hitting the rail, not long after, Sergey Altbregin, Joel Alpert, and Adam Szalay all dropped as well. Just after the first break of the day,both Randy Ohel and Frankie O'Dell were eliminated in the same hand by Sebastian Pauli. There was no sweat to see who would make the final table, as those two eliminations brought the field down to eight. First to drop at the final table was Ismael Bojang, who was eliminated by Brent Keller, who drew an eight-six low. 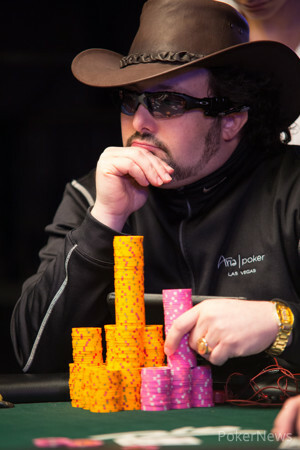 Next to fall was Rick Fuller, who was never able to get anything going at the final table and was also eliminated by Keller. Falling in sixth place was Keller himself, who got into a confrontation with Campanello and ended up on the losing end. Eventually, a short-stacked Keller found himself all in against Ivan Schertzer and he couldn't catch up after catching three paints in a row to be eliminated. It was a wild ride to find out who would bust in fifth place, as several players traded the lowest chip spot several times. Eventually, it was Schertzer who fell to Campanello when Campanello drew a nine-seven low and he couldn't improve. Falling in fourth was Sebastian Pauli, who held the chip lead momentarily before losing it to Bach and Campanello. Eventually, Pauli fell to Jim Wheatley when Wheatley drew a seven-six low to send Pauli home. Wheatley was the next to fall in three handed play, when Campanello sent him packing with a nine-low. Campanello came into heads-up play as a massive chip leader and he never took his foot off the gas pedal. Bach was able to gain some ground here and there, but when all was said it done, Campanello couldn't be stopped. On the final hand of heads-up play Campanello drew an eight-six low and that left Bach drawing dead. He was eliminated in second place, unable to complete his wire-to-wire act. 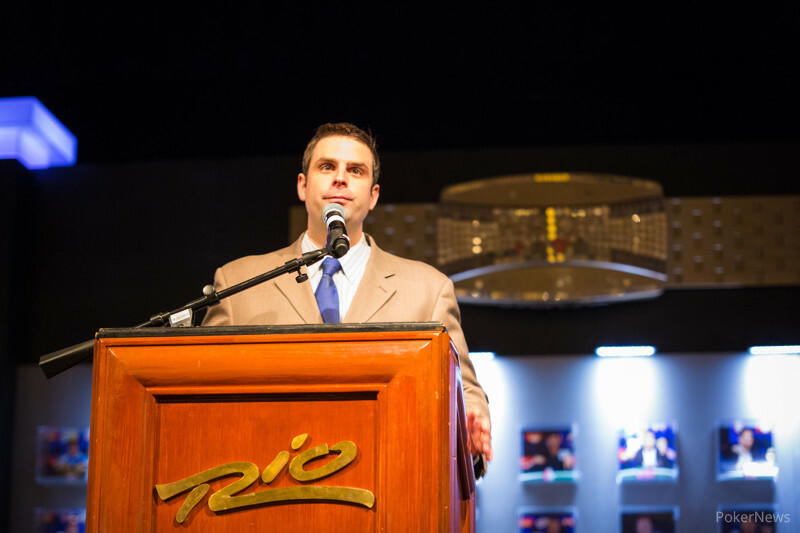 Campanello took home $178,052 for his victory along with a WSOP gold bracelet to add to his WSOP circuit ring. That's it for us here at PokerNews.Com. Be sure to stay tuned to our live blog for the rest of the World Series of Poker where we will have updates from every tournament for the rest of the series. David Bach - 2nd Place. David Bach completed with a , and Bryan Campanello made it three bets with . Bach called. Both caught fours on fourth, though only Bach was happy to see one, and Campanello called his bet. Bach thought for a bit before betting a on fifth, and Campanello raised to put him all in with a . Bach called. Bach paired a three, meaning he was still only drawing to a nine, while Campanello got a . His rail gave a cautious cheer, unsure how happy they should be with that card. Campanello looked first on seventh, and he got an , giving him an eight-six low and leaving "Gunslinger," who turned over a , in second place. Cards are back in the air for our final two players. The players are taking a break, though it will be shorter than the normal 20-minute break. Bach brought in with the jack while Campanello completed with the six. Bach called. On fourth Campanello continued and Bach called. The action was the same on fifth street. On sixth street both players checked and they checked again on face down seventh street. Bach showed for a ten-nine perfect and it was good enough to take down the pot. 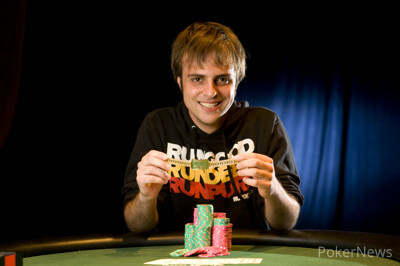 David Bach called down against Bryan Campanello in a recent pot. Campanello announced a seven-six smooth, and Bach couldn't beat it. "I think I had you before the river," he said. Campanello shook his head. With a up, Bach brought in. Campanello completed with his and Bach called. On fourth street Bach bet and Campanello called. Fifth street came and Bach checked his option to Campanello who bet. Bach called. On sixth street Bach bet and Campanello called. Action repeated itself on face down seventh street. Bach showed his down for a seven-six low and it was good to scoop the pot. "Did you get there?" Campanello asked? Bach just nodded his head. David Bach completed the bring-in with a , and Bryan Campanello called with . Bach bet every street, and Campanello called down until seventh. Campanello raised on the end, and Bach called. "Seven-five," Campanello said. Bach, however, had a perfect seven, revealing a in his down cards. He took the first big heads-up pot.